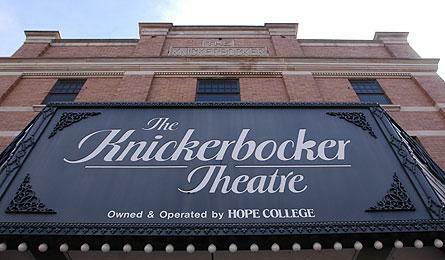 The Hope College Knickerbocker Theatre in downtown Holland will continue its tradition of showing contemporary and independent films with a Spring Film Series featuring four films from Monday, May 13, through Friday, June 8. The series includes “Barbara” (May 13-18), “Girl Rising” (May 20-25), “Future Weather” (May 28-June 1) and “Triumph of the Wall” (June 3-8). All films will be shown at 7:30 p.m.
“Barbara,” running Monday-Saturday, May 13-18, is set in 1980s East Germany and follows a Berlin doctor banished to a country medical clinic for applying for an exit visa. Deeply unhappy with her reassignment and fearful of her co-workers as possible Stasi informants, she secretly prepares to defect, but as she sees the need around her she finds herself facing a painful moral dilemma that forces her to choose what she values. The film, which is in German with English subtitles, is rated PG-13 and has a run-time of 105 minutes. “Girl Rising,” running Monday-Saturday, May 20-25, is a documentary film that showcases the strength of the human spirit and the power of education to change the world. Directed by Academy Award nominee Richard Robbins, the film tells the stories of nine extraordinary girls from nine countries, written by nine celebrated writers and narrated by nine renowned actresses. “Girl Rising,” which is in English, is rated PG-13 and has a run-time of 101 minutes. “Future Weather,” running Tuesday-Saturday, May 28-June 1, follows Lauduree, a 13-year-old loner and passionate environmentalist who clings to her rural home and a carbon sequestration experiment when her single mom runs off to California. However, her grandmother, Greta, a caustic nurse on the verge of moving in with her long-distance boyfriend, has other plans. The two women must learn to trust each other and leap into the unknown. The film, which is in English, is unrated and has a run-time of 100 minutes. “Triumph of the Wall,” running Monday-Saturday, June 3-8, is a documentary about expectations, and follows two artists who embark on an eight-week journey and instead spend the next eight years trying to finish what they started: a 1,000-foot wall and a film about the project. The film is a reminder that sometimes art (and life) is as much about the process of creation as it is about the finished product. “Triumph of the Wall,” which is in English, is unrated and has a run-time of 102 minutes. Tickets for all of the films are $6 for regular admission and $5 for senior citizens, Hope College faculty, and children. Updated information may be obtained by visiting hope.edu/arts/knick.